Tell us about your project and requirements and we’ll organize a personalized walk-through of Virto Commerce for you and your colleagues in ways to best address your needs. How long is the demo? Demo typically lasts anywhere from 30 min to 1 hour, but depending on situation can be longer. Do I need to have technical knowledge to view the demo? 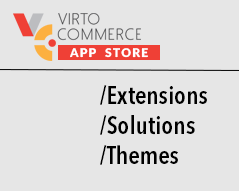 Virto Commerce is a platform designed for developers, but demo can be structured around business user needs if needed. Want to provide feedback? Use our User Voice Feedback site to submit ideas or comment on existing ones.